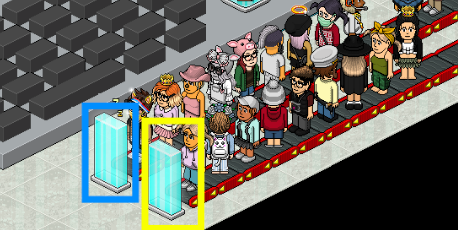 Enter the teleporter shown below. NOTE: This is a 2 player game. You have 1 minute to complete your task. 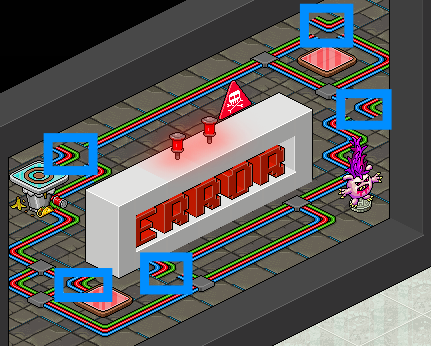 BLUE PLAYER: Walk on all the broken wiring to fix them. 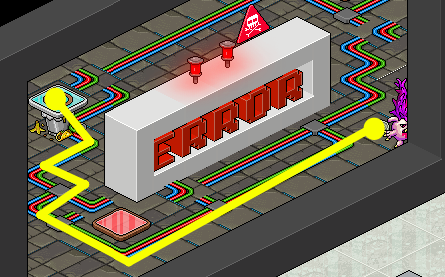 YELLOW PLAYER: Use the arrow tiles to guide the troll to the pressure plate. 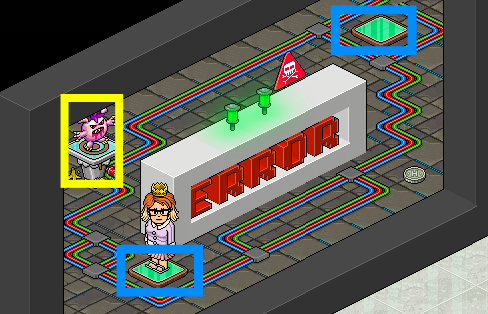 Once both players have done their part, walk on the green tile or arrow tile to receive your badge and prize.